A peaceful haven away from prying eyes in an ultra-safe environment are a prerequisite for many of our clients booking villas in Saint Tropez, which is why our properties in gated communities are so popular at this time of year. 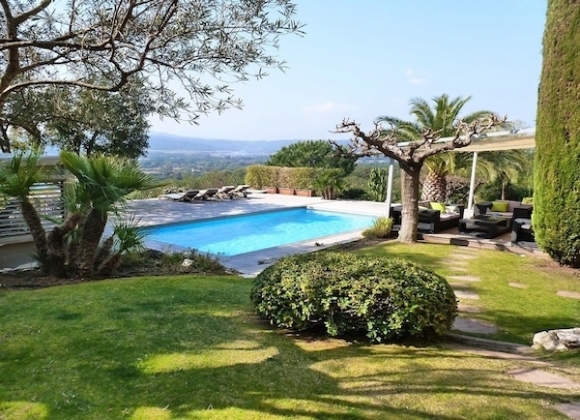 St Tropez House has in its portfolio a number of extremely private villas for rent in Saint Tropez, all located on a secure domain or in a gated community where guests can enjoy a relaxing holiday without any unwanted attention. These properties all ensure maximum security thanks to their sophisticated and state-of-the-art security systems, whilst the majority also offer manned entry gates for that extra personal touch. Another bonus of these extremely popular gated communities is that they are all set in stunning grounds within a short distance from the coast, with some residences even boasting their own private beaches just a short stroll from the villas. Villas in gated communities such as these allow holiday makers complete peace of mind as everyone coming and going must pass through security, meaning that once inside you can relax and enjoy your vacation without any un due concerns. As already mentioned this gated domain – the biggest and arguably the most exclusive in Saint Tropez – has its own private beach as well as a tennis club for members only whilst only being just seven minutes from Places des Lices. Villas rent from between 15,000 to 100,000 euros per week. This gated community has 20 villas set in plots of 1500 m2 which can be rented from 7,500 euro per week. The domaine is perfectly located being five minutes from the centre of Saint Tropez and seven minutes from Pampelonne beach.